Re: Is Royal Jordanian Safe? I guess if I stay in the airport I wont have an issue regardless? 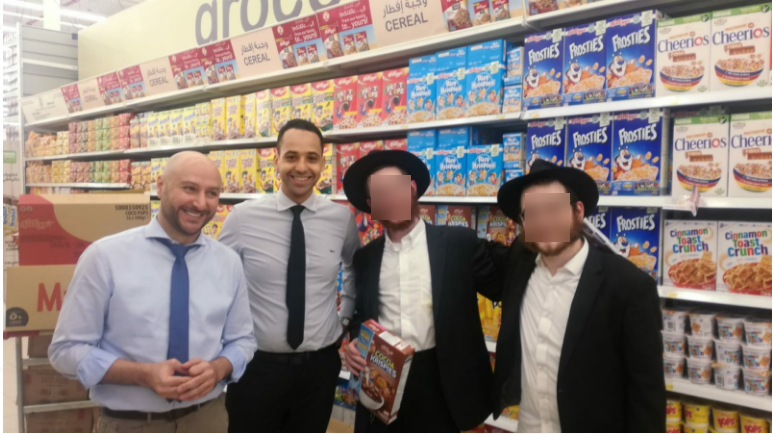 IIRC I previously posted a picture of my son and his friend in full Yeshiva Bochurim dress code in a supermarket in Doha. Paging @TimT for link. My son, who is traveling with a friend, missed a connection in DOH and was given a hotel by Qatar Airways for the extra 9 hour layover, but needed to go to the mall to buy some kosher food, sent me the following picture. He says everyone was coming to them for selfies. 2) In my circles, that's definitely not considered a reliable certainty. We believe in the imminent גאולה האמיתית והשלימה and תחית המתים to come along. who says u skip death?